Keen to learn more about teaching and learning through play in the outdoor classroom? 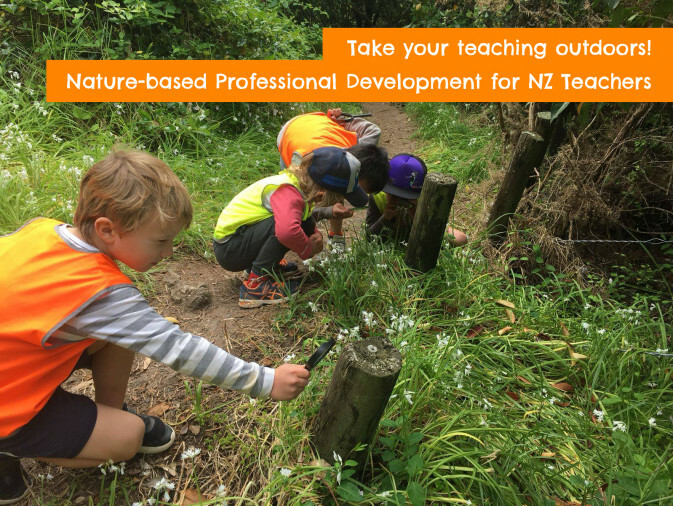 Join us for a series of 2 full-day workshops to equip you with the skills you need for successful play-based learning in the outdoor classroom, including the opportunity to observe an outdoor session in action. The "The Outdoor Classroom: Introduction" course is prerequisite for these two workshops. Book in as an individual or request a personalised programme for your school. To achieve the full benefits of the outdoor environment, we must carefully consider our practice as educators. This workshop focuses on the role of the adult in supporting nature play, with a particular focus on risky play and managing challenging behaviours, including a special look at ADHD and ASD in the outdoor classroom. Whether you are heading off-site to the local reserve or beach, or utilising the natural spaces on your school grounds, this workshop will cover the nitty-gritty of health and safety, risk assessment, and resourcing/loose parts. By sharing photos and videos, you’ll work with others to consider the ways in which your environment, the ‘3rd Teacher’, can enhance the learning of your students. Location: Windy Ridge School - 54 Seaview Road - Glenfield, Auckland.